Two days of excitement-packed Thoroughbred racing provide the backdrop for a full weekend of entertainment – including the highly popular Corgi races – during the sixth annual Summer Festival of Racing and Music on Saturday and Sunday at Tampa Bay Downs. A full slate of activity Saturday begins at 12:30 p.m. with eight races. The card officially concludes the 2017-2018 meeting. Sunday’s Thoroughbred action at 12:30 p.m. marks the official first day of the 2018-2019 meeting, which is expected to resume in late November. Casual fans can enjoy a full day of fun Saturday, with a seafood festival featuring crawfish from 5-9 p.m. and musical entertainment supplied by The Super Stars and The Black Honkeys beginning at 5:30 p.m.
For the second consecutive year, the Summer Festival of Racing and Music will feature Corgi racing, with nine heats involving the agile, athletic (and cute) dogs vying for supremacy. The Corgi races are scheduled to begin at 7 p.m. on Saturday. Admission on Saturday is $5, with children getting in free and no charge for parking. Admission is free Sunday. Throughout the two days of Thoroughbred action, riders will compete in the $5,000 Jockeys’ Challenge, with points awarded based on their finish in each race. The high-scoring jockey during the weekend will receive $2,500, with $1,500 to the runner-up and $1,000 to the third-place finisher. Longines and Ascot Racecourse are proud to announce the official launch of the Swiss watch brand’s innovative Longines Tracking System, which was successfully inaugurated during the prestigious Royal Meeting, on Wednesday 20th of June. Ascot Racecourse thus became the first racecourse to be equipped with the system. This game-changing timing and tracking system – a world premiere in the horse racing industry – provides instant data on the exact position of horses during a race, race rankings, the distance between horses as well as their acceleration and deceleration. 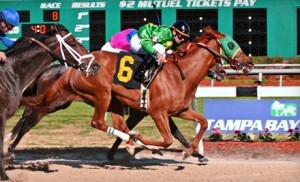 In addition, it measures the horses’ covered and remaining distance in the race. 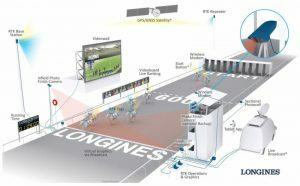 Entirely based on satellite data, the Longines Tracking System boasts extreme accuracy, without any permanent installation on the racecourse, as required by the currently existing tracking systems. 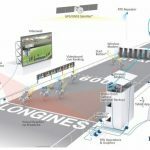 Developed in collaboration with Swiss Timing, the system represents a technological break-through in the horseracing industry, as it enables the most prestigious racecourses across the globe – including those located in protected historical or natural sites – to have access to such advanced technologies. Longines’ passion for equestrian sports dates back more than 140 years. In 1878 already, it produced a chronograph engraved with a jockey and his mount. Seen on the racetracks as early as 1881 and extremely popular among jockeys and horse-lovers, this model enabled its user to time performances to the second. Longines’ involvement in equestrian sports includes show-jumping, flat racing, endurance, dressage, driving and eventing competitions. Longines chose to support equestrian sports as a perfect illustration of tradition, performance and elegance, which are the key values of the brand. Ascot Racecourse was founded in 1711 by Queen Anne and is constituted under a statutory trust contained in the Ascot Authority Act 1913. Three trustees (the “Ascot Authority”) are appointed by the Monarch and are ultimately responsible for the stewardship of the trust. The statutory purpose of the trust is to act for the benefit of racing at Ascot. All returns are reinvested in the business for the benefit of Horsemen (Owners, Breeders, Trainers, Jockeys and Stable Staff), racegoers and off course followers, both in the UK and Internationally. Underneath the Trust, a corporate structure runs the business which employs around 200 people full time (directly and through our food & beverage joint venture with Sodexo known as 1711 by Ascot) and up to 6000 casual raceday staff. Ascot stages nine of the country’s Group One (elite) flat races in the summer, and a further four on the industry owned QIPCO British Champions Day. The Royal Meeting is the most international race meeting in Europe, regularly attracting runners from Australia, the USA, Asia and from within Europe. Ascot currently turns over around £90m per annum and generates around £20m in net cash, all of which is reinvested into the business (1) to repay debt following the 2004-2006 £220m redevelopment (now under £60m), (2) in infrastructure and venue experience (currently around £7m per annum), (3) in prize money and (4) in general business development. Alongside racing, Ascot runs a £2m a year conference and events business and from July 2018 will run its own pool betting business, AscotBet, in conjunction with the Tote. Ascot’s overall direct economic impact has been measured by Deloitte as being around £150m per annum (excluding the very substantial off course betting). Ascot engages with its wider community in a range of ways. Around 250 charities benefit in some way from Ascot’s support each year. Ascot’s Property Raceday raises just under £200,000 per annum for children’s charities and from 2015 – 2017, Ascot raised £1.1m for The Prince’s Countryside Fund. Ascot partners with the Berkshire Community Foundation to directly benefit regional charities. With Saturday’s mandatory-payout looming, the 20-cent Rainbow 6 went unsolved for the 27th consecutive racing day Thursday at Gulfstream Park, leaving a carryover jackpot of $848,456.20 for Friday’s twilight card. First-race post time for Friday’s nine-race program is set for 2:15 p.m. Multiple tickets with all six winners were each worth $2,176.20 Thursday. There will also be a Super Hi 5 carryover Friday of $4,491.85. Should the Rainbow go unsolved on Friday, the carryover jackpot could approach $1 million for Saturday’s Summit of Speed program that will be co-headlined by the $250,000 Princess Rooney (G2), a Breeders’ Cup ‘Win and You’re In’ race, and the $250,000 Smile Sprint (G3). There will be a Pick 6 carryover of $10,268 when racing resumes Friday, the second day of the Summer Thoroughbred Festival at Los Alamitos in Cypress, Calif. The primary catalysts for the carryover were Swallows Inn Gal, who won the fifth race at 18-1 under apprentice jockey Kellie McDaid, and Cee Sam’s Girl, who rallied from far off the pace to win the eighth at $28 under jockey Kyle Frey. There is also a Super High 5 carryover of $3,204. The $1 minimum wager, which requires a player to correctly identify the first five finishers, is offered daily in the final race. Post time Friday is 1 p.m. 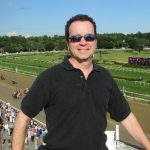 The Pick Six will begin in the third race, which has a scheduled post time of 1:58 p.m.
Glenangus Farm LLC’s First Mondays, trained by John Servis and ridden by Roberto Alvarado Jr., was an impressive debut winner of the eighth race on Thursday. A 3-year-old son of Curlin out of the Awesome Again mare Formalities Aside, First Mondays drew off down the stretch to a 3 3/4-length victory while covering six furlongs in 1:10.50. First Mondays sold for $450,000 at the 2016 Fasig-Tipton Midlantic Fall Yearling Sale.